A cornerback (CB), also referred to as a corner or defensive halfback in older parlance, is a member of the defensive backfield or secondary in American and Canadian football. 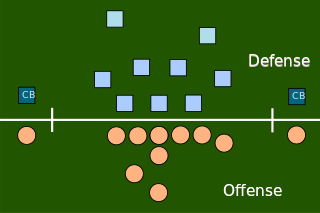 Cornerbacks cover receivers most of the time, to defend against offensive plays, i.e. create turnovers in best case or deflect a forward pass or rather make a tackle. Other members of the defensive backfield include the safeties and occasionally linebackers. The cornerback position requires speed, agility, and strength. A cornerback's skillset typically requires proficiency in anticipating the quarterback, backpedaling, executing single and zone coverage, disrupting pass routes, block shedding, and tackling. Cornerbacks are among the fastest players on the field. Sehorn played his first two years of college football at Shasta College, a junior college in Redding, California, where he was a standout wide receiver, kick returner and punt returner. He then played two years at the University of Southern California  where he was moved to safety due to an abundance of talent at wide receiver. Shasta College is an American two-year community college located in Redding, California founded in 1950. It later moved to a much larger campus, while the original campus became the new location of Shasta High School. Redding, officially the City of Redding, is the county seat of Shasta County, California, in the northern part of the state. It lies along the Sacramento River, 162 miles north of Sacramento, and 120 miles (190 km) south of California's northern border, shared with the state of Oregon. Interstate 5 bisects the entire city, from the south to north before it approaches Shasta Lake, which is located 15 miles (24 km) to the north. The 2010 population was 89,861. Redding is the largest city in the Shasta Cascade region, and it is the sixth-largest city in the Sacramento Valley, behind Sacramento, Elk Grove, Roseville, Vacaville and Chico. Sehorn was drafted in the second round of the 1994 NFL Draft by the New York Giants,  and spent most of his career playing cornerback for them. After back-to-back successful seasons in 1996–97, Sehorn suffered a debilitating knee injury, tearing his anterior cruciate and medial collateral ligaments while returning the opening kickoff in a 1998 preseason game against the New York Jets. Though Sehorn returned the next season, his speed was diminished. Still, he started 73 games for the Giants at cornerback in six seasons played from 1996–2002. The medial collateral ligament (MCL), or tibial collateral ligament (TCL), is one of the four major ligaments of the knee. It is on the medial (inner) side of the knee joint in humans and other primates. Its primary function is to resist outward turning forces on the knee. Sehorn was married to former CNN correspondent Whitney Casey. His marriage to actress Angie Harmon is well known due to his unusual and public proposal. During one of Harmon's appearances on The Tonight Show with Jay Leno , Sehorn (with the assistance of host Jay Leno)  hid backstage and surprised Harmon by getting on one knee and asking for her hand in marriage in front of a live studio audience and millions more watching on television. They married in 2001 and have three daughters: Finley Faith, born October 2003, Avery Grace, born June 2005, and Emery Hope, born December 2008. Both publicly support the Republican party. The couple announced in November 2014 that they were separating after 13 years of marriage,  and divorced in December 2015. Sehorn married Meghann Gunderman January 2017. Sehorn played a firefighter for one episode on the NBC show, Third Watch , in which his character is killed in a warehouse blaze. Angela Michelle Harmon is an American actress and model. She was a professional model before gaining international fame for her roles in Baywatch Nights and as New York A.D.A. Abbie Carmichael on Law & Order. She also starred as Detective Jane Rizzoli on the TNT series Rizzoli & Isles. Antrel Rocelious Rolle is a former American football safety of the National Football League (NFL). He played college football at the University of Miami, where he was recognized as a unanimous All-American, and was drafted by the Arizona Cardinals eighth overall in the 2005 NFL Draft. Rolle also played for the Chicago Bears and New York Giants, winning Super Bowl XLVI with New York in 2011. Andre Le'Melle Weathers is a former American football player. He played college football at the University of Michigan from 1995 to 1998 and was a member of the 1997 team that won the national championship. He later played professional football for the New York Giants in 2000 and 2001, but his career was cut short by a knee injury. Phillippi Dwain Sparks is a former American football player in the National Football League. Jason Dewande Bell is a former professional American football cornerback who played in the National Football League (NFL) for the Dallas Cowboys, Houston Texans and New York Giants. Bell played college football at University of California, Los Angeles (UCLA). Terrell R. Thomas is a former American football cornerback. He played college football at USC. He was drafted by the New York Giants in the second round of the 2008 NFL Draft. He is also only the second player in NFL history, after linebacker Thomas Davis, to come play a down in the league after suffering from three torn ACLs in the same knee. Leon Lastarza Lafayette Lorenzo Hall is an American football cornerback who is currently a free agent. He played college football for the University of Michigan, and earned consensus All-American honors. Hall was drafted by the Cincinnati Bengals in the first round of the 2007 NFL Draft and has also played for the New York Giants and San Francisco 49ers. D'Andre Lawan "Dre" Kirkpatrick is an American football cornerback for the Cincinnati Bengals of the National Football League (NFL). He played college football at Alabama and was drafted by the Bengals in the first round of the 2012 NFL Draft. Jason McCourty is an American football cornerback for the New England Patriots of the National Football League (NFL). He was drafted by the Tennessee Titans in the sixth round, 203rd overall, in the 2009 NFL Draft and has also played for the Cleveland Browns. He played college football at Rutgers. Janoris Jermain Jenkins is an American football cornerback for the New York Giants of the National Football League (NFL). He played college football for the University of North Alabama and University of Florida and was drafted by the St. Louis Rams in the second round of the 2012 NFL Draft. Nolan Alexander Carroll II is an American football cornerback who is currently a free agent. He was selected by the Miami Dolphins in the fifth round of the 2010 NFL Draft. He played college football at Maryland. He has also played for the Philadelphia Eagles and Dallas Cowboys. Jason Andrew Pierre-Paul, nicknamed "JPP", is an American football defensive end for the Tampa Bay Buccaneers of the National Football League (NFL). He played college football at South Florida and was drafted by the New York Giants in the first round of the 2010 NFL Draft. With the Giants, Pierre-Paul made two Pro Bowls and won Super Bowl XLVI over the New England Patriots. Devin McCourty is an American football free safety for the New England Patriots of the National Football League (NFL). He played college football at Rutgers, and was drafted by the Patriots in the first round of the 2010 NFL Draft. Prince Kelechi Amukamara is an American football cornerback for the Chicago Bears of the National Football League (NFL). He played college football for Nebraska, and earned unanimous All-American honors. He was drafted by the New York Giants in the first round of the 2011 NFL Draft, and was a member of the Giants' Super Bowl XLVI championship team as a rookie against his hometown team, the New England Patriots. Amukamara has also played for the Jacksonville Jaguars. Josh Gordy is an American football cornerback who is currently a free agent. He was signed by the Jacksonville Jaguars as an undrafted free agent in 2010. He played college football at Central Michigan. Morris Lee Claiborne is an American football cornerback who is currently a free agent. He played college football at Louisiana State University (LSU), where he won the Jim Thorpe Award as the best defensive back in the country and was unanimously recognized as an All-American. He was selected by the Dallas Cowboys sixth overall in the 2012 NFL Draft. Trumaine Monte Johnson is an American football cornerback for the New York Jets of the National Football League (NFL). He played college football at University of Montana, and was drafted by the St. Louis Rams in the third round of the 2012 NFL Draft. Coty Sensabaugh is an American football cornerback who is currently a free agent. He played college football at Clemson and was drafted by the Tennessee Titans in the fourth round of the 2012 NFL Draft. Mt. Shasta High School is a public high school located in Mount Shasta, California in southern Siskiyou County. It is one of the five members of the Siskiyou Union High School District. Mt. Shasta High school's mascot is a bear and the rivaling team is the Weed High School Cougars. Jason Verrett is an American football cornerback for the San Francisco 49ers of the National Football League (NFL). He was drafted by the San Diego Chargers in the first round of the 2014 NFL Draft. He played college football at TCU. ↑ "Jason Sehorn" . Retrieved November 24, 2009. 1 2 "Jason Sehorn". CNN. August 30, 1993. Retrieved November 24, 2009. ↑ "Jason Sehorn Stats". /sports.espn.go.com. Retrieved November 24, 2009. ↑ "NFL Draft History" . Retrieved November 24, 2009. ↑ MAXYMUK, John (November 10, 2009). "Giants Stadium Countdown: Sehorn's Interception". The New York Times. Retrieved November 24, 2009. ↑ Hack, Damon (March 8, 2003). "Magic Over, the Giants Release Sehorn". New York Times. Retrieved November 4, 2014. ↑ "Sehorn Joins Rams, Former Rival Martz". LA Times. May 20, 2003. Retrieved November 4, 2014. ↑ "After failed physical Sehorn's comeback ends before it starts". St. Louis Post-Dispatch. September 9, 2004. Retrieved November 24, 2009. ↑ EVERSON, DARREN (August 15, 1999). "TURNING THE CORNER JASON SEHORN IS REBUILDING HIS LIFE AFTER A TORN-UP KNEE, A BUSTED MARRIAGE AND CRUSHING CRITICISM FROM HIS TEAMMATES". Daily News. New York. Archived from the original on January 24, 2009. Retrieved November 24, 2009. ↑ "Jason Sehorn – Biography" . Retrieved November 24, 2009. ↑ "Angie Harmon and Jason Sehorn Split". People Magazine . November 3, 2014. ↑ "AVE Sports Classic EXCLUSIVE: Jason Sehorn Jersey Retirement". YouTube.com. January 19, 1999. Retrieved July 13, 2012. ↑ "USC Legends – Jason Sehorn". 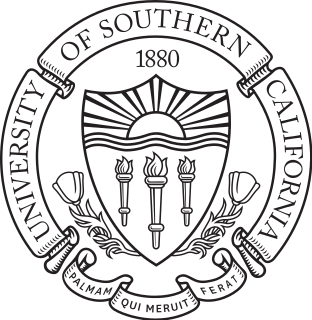 usclegends.org. Archived from the original on December 25, 2008. Retrieved November 24, 2009. ↑ "United States Superstars® Competitions". The Superstars. Retrieved August 29, 2018.